The Georgetown 3 Series by Forest River is a class A gas motorhome that consists of a 5.5kW Onan generator. It was engineered for the road, yet designed for the driver with plenty of creature comforts for all travelers. 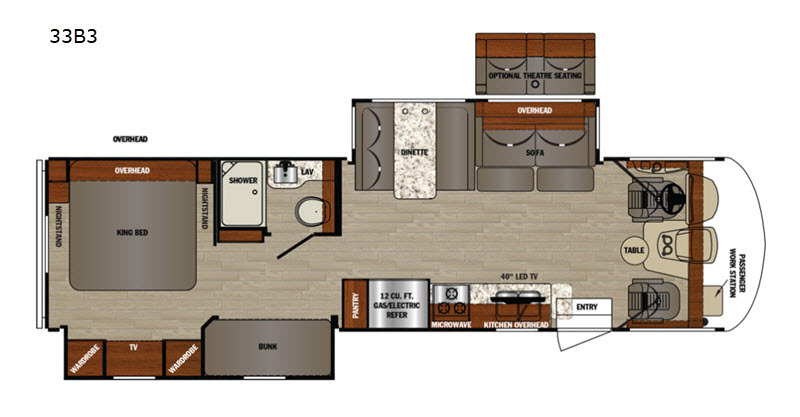 You will enjoy plenty of storage and the luxury that you would expect in any class A. Some of the highlighted features include the hydraulic four-point leveling jacks, the color side and rear camera package, the custom countertops, and a Pioneer dash entertainment system, plus bedroom and living room LED TVs. You will also appreciate the spacious galley found on board each model to include a dream dinette that will seat everyone, even a few friends. Another great feature that you are sure to appreciate is the "SUPER STORAGE" rear cargo compartment for all of your camping gear! 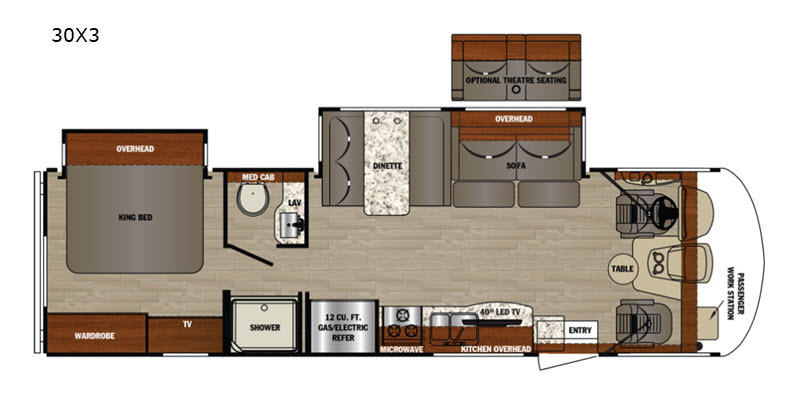 With all of the amenities that you have come to love and expect, you won't be disappointed in your decision to own a Georgetown 3 Series class A gas motorhome by Forest River! Basement Storage 133 cu. ft.